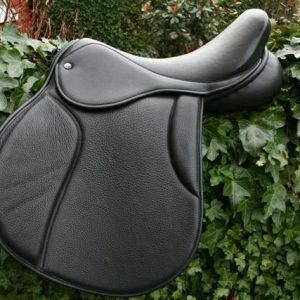 The Yin-Yang – Working Hunter Saddle and VSD. The W/Hunter is designed for all working hunter classes, hunting and the show ring. Both saddles have neat knee and thigh rolls. We can make them larger for more stability when jumping, hunting or hacking when requested. We can even attach the rolls on Velcro so that you may change them or remove them if need be. This option costs £50 extra. 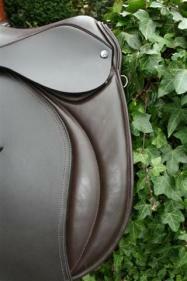 The W/H is suitable for showing and working hunter classes but with the comfort and knee support for everyday riding. 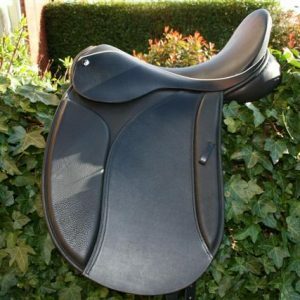 In both saddles you can choose from English woolen flocked panels or close contact latex foam panels. Point and balance straps as standard on Both saddles. A suede seat can be added for £25 extra. Buffalo option on both saddles, see last photo above, is £100 extra. Very comfortable, Butter soft Buffalo leather that lasts and lasts. 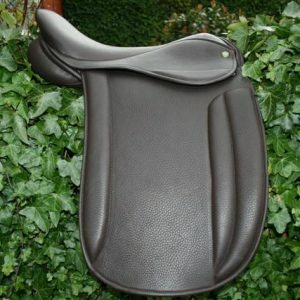 The VSD Version (Last 2 photos, square cantle) This is the perfect saddle for horses with big shoulders as the cut of the panels helps to eliminate constricting the movements of the horses shoulders and helps to stop the shoulder pushing the saddle backwards. 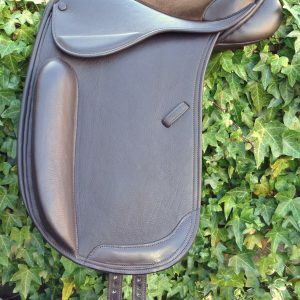 This is a great style of saddle for those of us who wish to jump a little and yet it is still acceptable today in Working Hunter class and for showing, Dressage and Hacking. 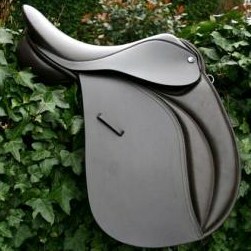 A very versatile saddle indeed.